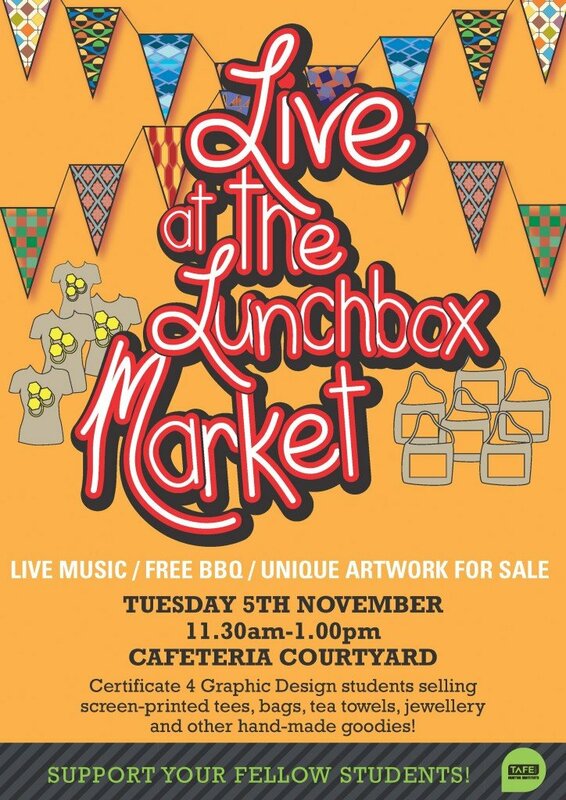 Next Tuesday at Newcastle Campus there will be a market held in conjunction with the Live at the Lunchbox music session. It’s a great opportunity to enjoy live music and a free BBQ and also do some Christmas shopping! Certificate IV Graphic Design students have been busy creating a range of hand-made items, including screen-printed t-shirts, bags and jewellery.